I’m not entirely sure what happened. I thought things were going well. Everyone seemed happy. There was balance. There was unity. 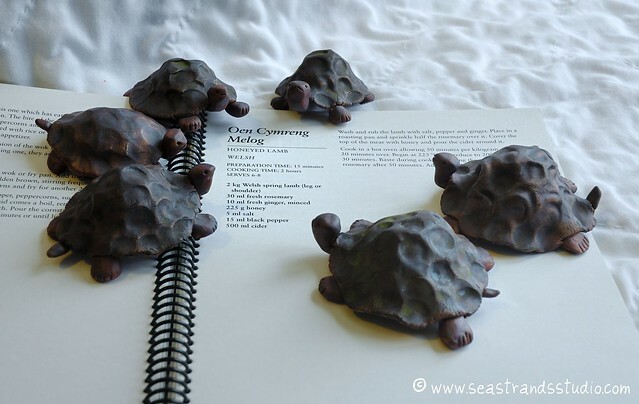 A gift, from the turtles to the sheep. Gingerroot. Unusual. I thought it was simply a generous offering at first. You see, the turtles are evidently used to more exotic foods than are the sheep and I simply assumed that they were sharing their cultural experiences. "Honeyed Lamb". Requires minced ginger root. Hmm. 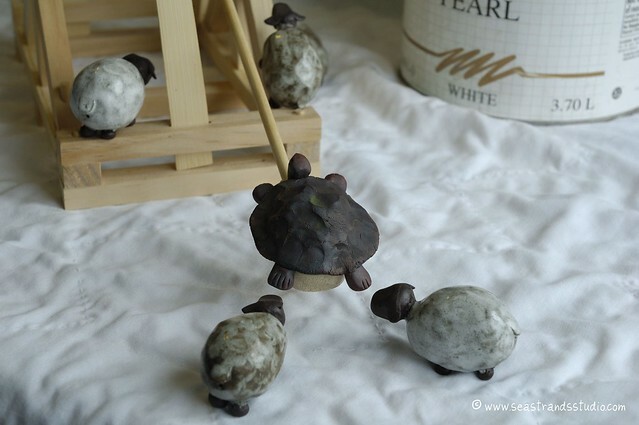 It may have been my sudden gasp of horror or perhaps the sheep aren’t quite as oblivious as the turtles suppose, but I think the flock caught on. Fast-forward to this afternoon. Things are escalating. Catapult. This. Is. Not. Good. I think the turtles were surprised by the swiftness and concentrated sense of purpose of the ovine reaction. 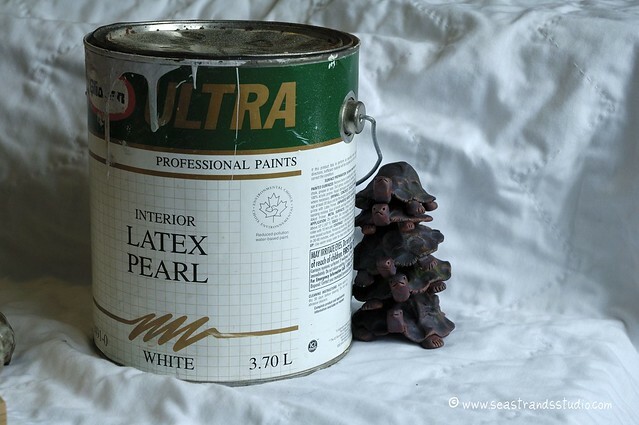 I'm not sure why they're hiding behind a can of paint. Frankly, I'm afraid to ask. 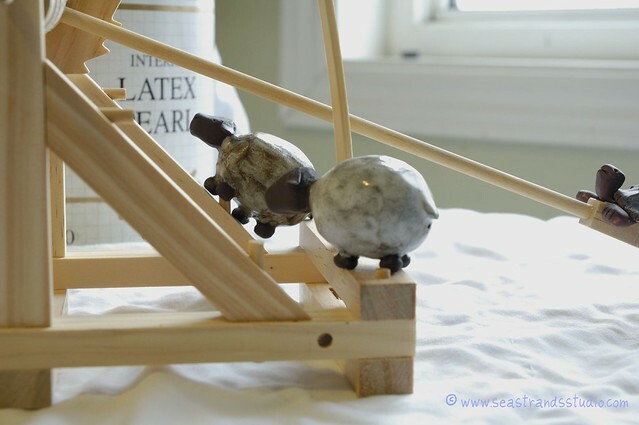 Who knew that sheep could work a catapult? 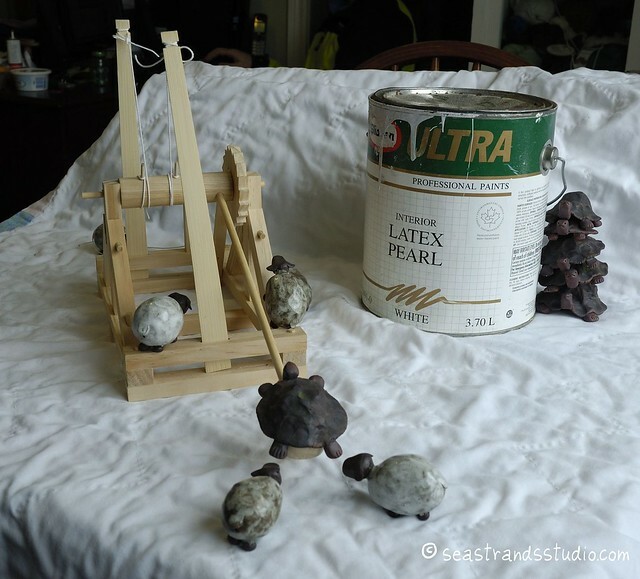 Then again, how many houses have a sheep-sized catapult just lying around…. Where there's a wool, there's a-weigh. I’m really not sure how they’re going to get out of this one…..
… but I think I might go lock up the matches. P.S. 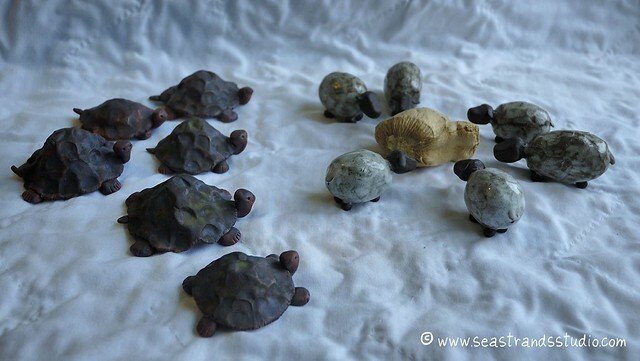 For newcomers, a link to more Sheep & Turtle Posts…..
LOL! This made my night!